Popularly known as Kodagu in Karnataka, the Scotland of India is one of the most popular hill stations that thrive in India. Coorg is a hilly district with the lowest elevation being 900 meters. Beautifully capped amidst the gazing mountains, the landscape stays a bit Mistry throughout the year. Known for its flawless beauty and the admiring nature, Coorg is the perfect definition of natural marvel. If you are one of those who loves to admire the aesthetics of natural beauty then places to visit in Coorg is the perfect destination for you. The place is wonderfully connected to Bangalore via roadways. The distance between both is around 260 km and takes around six hours to reach the same. Coorg tourism is all about the places to visit in Coorg Karnataka. There are lots of things to do in Coorg which are listed below. At a distance of around 8 km from the Bus stand of Madikeri lies an excellent waterfall adding to the grace of the adjacent mountain beauty. Also known as the Jessy waterfalls, this is one of the best places to visit in Coorg. Situated 28 km away from the Madikeri stand, an extensive training center for elephants which stands beautifully on the banks of the river. A natural island formed as an extension of Kaveri river, Dubare is one of the bases for the forestry department of Karnataka. Having a plethora of Elephants who are trained for Mysore Dussehra under experts makes it a must visit place in Coorg. 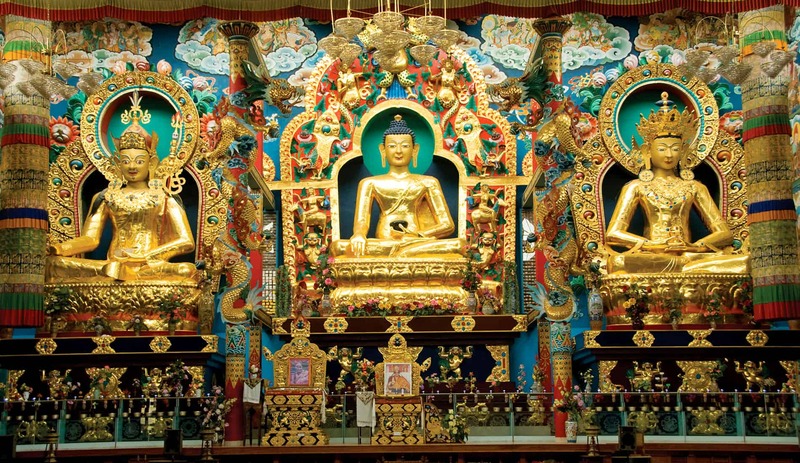 At a distance of 34 km from the famous Madikeri, stands the Golden Temple, a wonderful British Monastery in Bylakuppe. A Tibetan refuge area, Bylakuppe holds the best heritage site of Coorg. The origin of the Kaveri river, Talakaveri is at a distance of 44 km from Madikeri and hails at an altitude of 1276 m on the slopes of the Brahmagiri mountain. A square tank named as Cauvery Vundile which is deemed as the birthmark of the river. Offering a splendid view of the surrounding, Talakaveri is one the most visited places in Coorg. The Madikeri fort offering a mesmerizing picture of the town, Raja Seat is another attraction of Coorg. Depicting the Seat of all the King’s, four pillars surround by arches beautify the place. Being built at a greater elevation, it offers a splendid view of the valley and nearby areas. The place is seen to offer a spectacular view of the breathtaking surroundings, lush green valleys, and the paddy fields. A driving distance of 248 km from Bangalore, Iruppu waterfalls lie amidst the Brahmagiri hills, with borders of Wayanad district of Kerala. Also known as Lakshmana Tirtha falls, they originate from the thick forests of the Western Ghats. 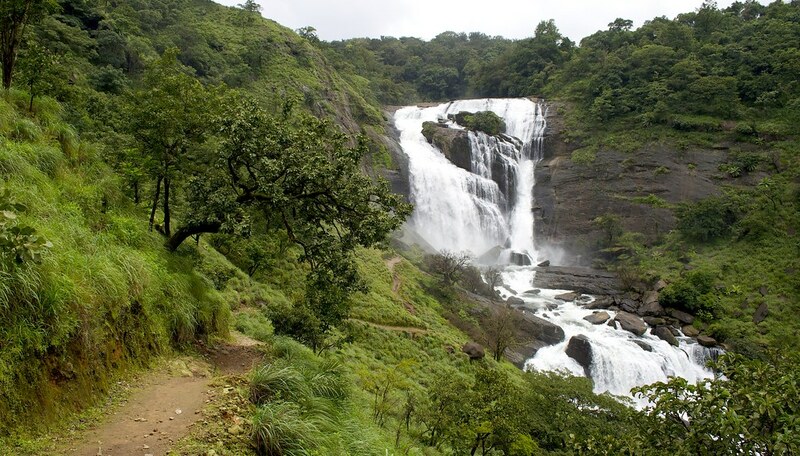 The wild gazing waterfalls and the authentic view of the surrounding make it one of the most visited places in Coorg. For all the adventure lovers, a national park at a distance of 20 km from the Iruppu Falls adds to the grace of Coorg. It is regarded as one of the most magnificent wildlife parks in southern India. Earlier, the park was meant for hunting activities of the Maharajas which eventually transformed into a sanctuary covering parts of Mysore and deem it as a tourist place. Lying adjacent to the town of Madikeri, the Omkareshwara temple is one of the most ancient temples that stands beside the Madikeri Fort. A top place for pilgrimage in the city, the temple is dedicated to Lord Shiva. The shiv ling inside the temple is considered to be hailing from Kashi and hence regarded as pious and religious. Dropping down to a height of 20 feet, this spectacular waterfall is at a distance of 54 km from the town of Madikeri. 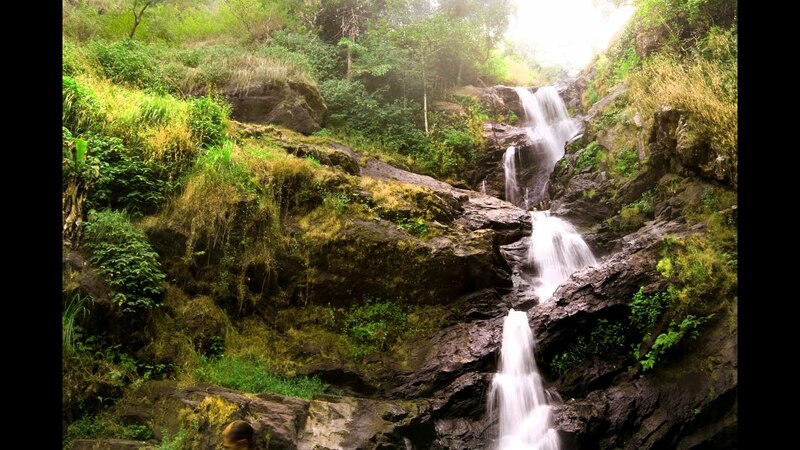 Beauty and serenity are what makes it the best waterfalls in Coorg. The nearby areas of the falls provide s mesmerizing view of the hills, valley and also the high mountain ranges. 80 km from the town of Madikeri, the hill station named Ranipuram is located in the Kasaragod district. What drives the attention of the tourist are the wonderful forests that define the beauty of the place perfectly. One of the must do things in Coorg is camping. The most weather and the clear sky makes it the best place for overnight camping. For all the thrill lovers, Barapole is the best place for river rafting. Lying amidst the soaring mountains of Coorg, white water rafting over fast waters is a must. The people who love to explore the beauty of a place, the Tadiandamol trek should not be skipped. One of the highest peaks of Coorg, the place is picturized by the beauty of the shola forests. Nestled at a height of 1600m, Mandalpatti is at a distance of 18 km from the town of Madikeri. Regarded as one of the most visited spots the place envelopes the Abbey falls. Away from the hustle bustle of the crowdy city, staying at a place offering tranquility is the best thing to do. Surrounded by the wonderful ambiance of nature, a stay at the House In at Coorg is undoubtedly the best gift to yourself. The second highest peak of the city, trekking along the Kumara Parvatha region tours you along the best view of the flora and fauna of the Western Ghats. A spectacular combination of both adventure and fun, the Nishani Motte is a paradise for all the photo enthusiast. The long scenic trails tour yours across the aroma of coffee fields along with the experience of a fascinating trek. Surrounded by the coffee fields, walking across the same is a must have experience. The mind-boggling aroma would leave you stunned and offer s soothing chance to admire the natural beauty. Who does not loves to play along with the water and when you have such a wonderful opportunity to river raft at Dubare, you cannot afford to miss it. Several hosts camps organized give you the chance to explore the adventure at Dubare rivers. When it’s a wonderful weather and a perfect combination of wilderness and atmospheric beauty, you cannot skip to camp. Bonfire adds to the thrill and adventure of the place. Winters are undoubtedly the best time to visit Coorg. During summer, the temperature range from 22-40°C and many tourists choose the place to beat the heat. Monsoon is a way between offering a temperature of 23-29°C making it more mesmerizing to view the droplet on the leaves in the forests. Winters being the king of all with a temperature of 11°C is the best time to visit the place. Mildly cold, the place can be a paradise for all. A wonderful tourist spot has Mysore the nearest station. There are various KSRTC buses that offer routes for Bangalore, Mysore, and Mangalore to reach Coorg. The best railroad medium to reach Coorg is to track to Mysore which is at a distance of 95 km from Coorg. A perfect hill station to glorify your vacation. Dwell amidst the spectacular beauty of the breathtaking scenic view and cherish every moment spent with your near and dear ones. A place that has all for everyone. Be it sports or adventure or thrill of romance, you have all.